BANGKOK, Dec. 24 (Xinhua) -- The China-Thailand high-speed railway will upgrade Thailand's transport system and unleash economic potentials of region along the route, said a Thai expert. 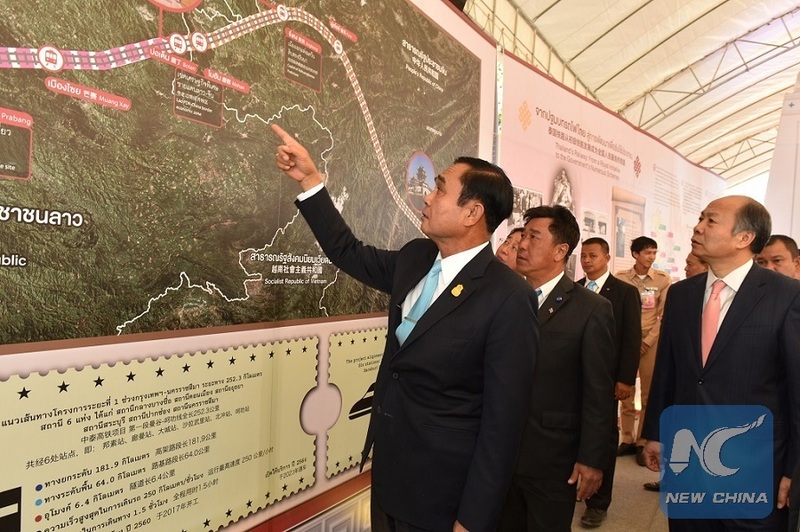 The 253-km first phase of the railway links Bangkok with Nakhon Ratchasima province. China is responsible for design of the railway, supervision of construction and manufacturing of trains and signal systems, among others. Northeastern Thailand, a region with one-third of Thailand's land area that contains about one-third of the country's population, contributes only one 10th of the Kingdom's GDP, said Huang, adding that the poor transportation results in its sluggish development. According to Huang, there are about 4,507 km of meter gauge lines in Thailand, of which 90 percent is still single track. There are also problems with old equipment, poor management and maintenance, and low speed. The China-Thailand railway will be finally connected with the China-Lao railway, thus using Chinese technology, which has been widely recognized across the world, will make it more accessible in the connectivity plan, said the expert. The project is a genuine joint contribution of the two countries, which is also an achievement in bilateral cooperation under the Belt and Road Initiative, said Huang.